The clocks have gone back, the nights are getting lighter, and with temperatures lifting, it finally feels as summer is just around the corner. Which means more time in the great outdoors and much garden envy. Even though the balmy nights aren't exactly typical of our summertime, it's always about this time that I start wishing I had a garden. Having been living in my current flat for the last 3 years, I miss having a bigger outdoor space. 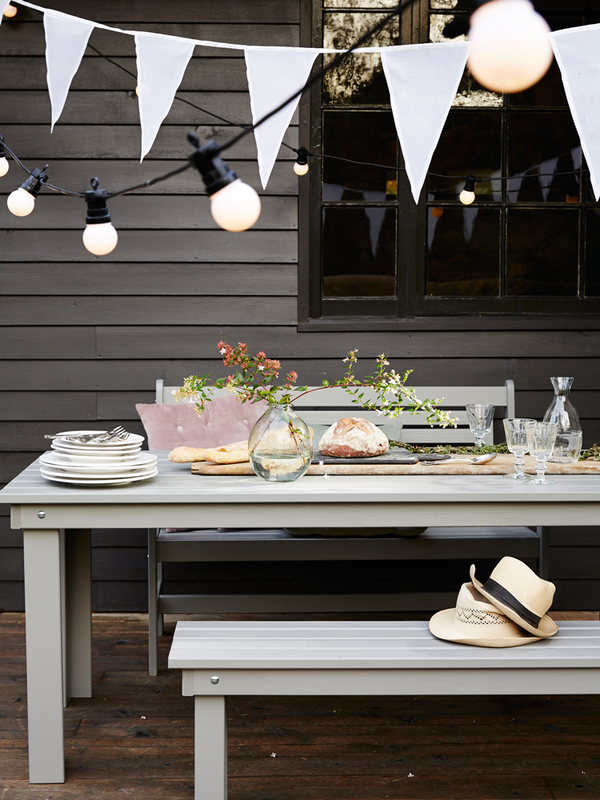 One that I can adorn with festoon lighting (like ones pictured from Cox and Cox), proper patio furniture and a decent BBQ. There's something about being able to while away the hours outside on a sunny day, with a good book and a glass of wine. It doesn't have to be something grand, with a big sweeping lawn. Just a little patch of green (preferably larger than balcony size, but I'm easy), where I can relax. Somewhere I can plant a little patch of herbs for my cooking, like fresh rosemary, thyme and basil. Or mint for hot, sweet tea and mojitos. And of course, a place to grow flowers. My favourite gardens are always the ones bursting with the soft fragrance of roses, peonies and lavender. But let's just wait and see what summer brings... Who knows? Maybe I'll find myself with a little garden of my own by then.